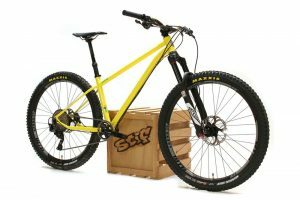 A downhill bike from Canyon? 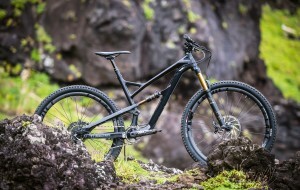 Yep, after dominating the Enduro World Series constructors championship for the past few years, Canyon has decided to take on the downhill market with its new Sender downhill bike. 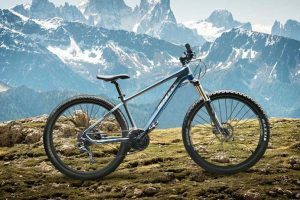 This isn’t the first downhill bike from the brand, but it looks to be a significant step forward from the Torque model of yore. So, how did it come together? 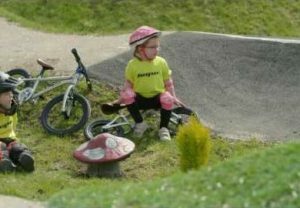 All through the off season, there were rumours of Canyon preparing a downhill team for the World Cups, but it never fully came to light. 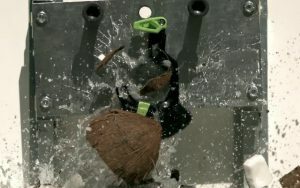 We could speculate that it’s because this bike wasn’t ready in time but in truth, we have no idea. 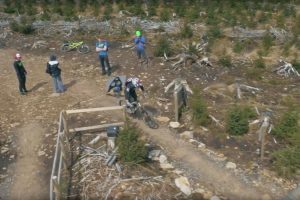 This bike first broke cover under Fabien Barel at the recent Crankworx Rotorua event and it has been released properly today. 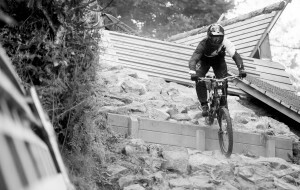 How is Fabien Barel involved? 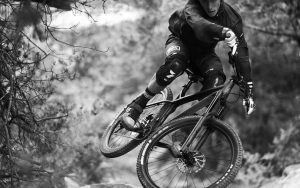 The two-time downhill World Champion has become a big part of the Canyon R&D team. 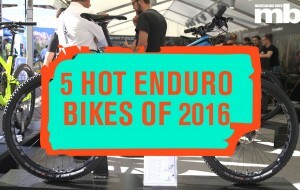 Three years ago he won the first ever Enduro World Series race on the Strive and he has had a serious amount of input on this frame too. What features does it have then? Well first and foremost, it’s clear Canyon has aimed this bike at the racing market. 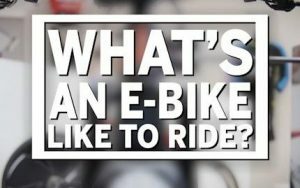 It’s a bike designed to go fast, not one to lazily cruise bike parks (although we’re sure it can do that too). 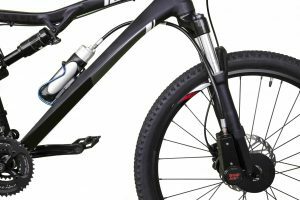 The four bar suspension has been modelled on a motocross bike, this, in combination with a Fox Float X2 air shock, is claimed to allow a racer to get their perfect set up. 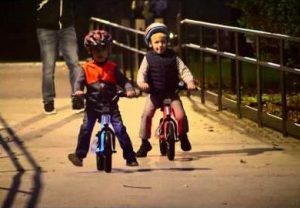 The MX link apparently provides lots of power at the start of the stroke to overcome the high activation threshold of air shocks and it then provides less power throughout the stroke so the bike becomes more progressive. 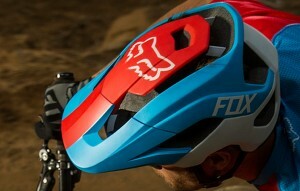 The idea is to create a stable mid-stroke with a bottomless feel as you go through the travel. How does the geometry look? 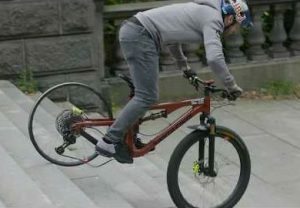 We’d say the geometry is on par with some of the top performing downhill bikes in the world right now. 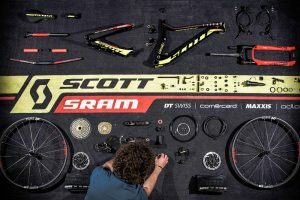 If it isn’t quite right for you then it’s possible to adjust the geometry into six different combinations thanks to adjustable headset cups and chainstay length. 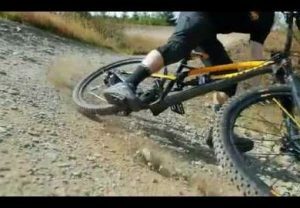 Well, seeing as this is a downhill bike from a German direct sales brand, the Canyon Sender has one very obvious competitor, the YT Tues and it looks like it’s tried to price match it too. The top of the range Canyon Sender CF 9.0 costs €4,799 (£3,800), compared to €4,999 (£4000) for the Tues CF Pro. Similarly the Sender CF 7.0 costs €3,599 (£2,900), just a touch higher the the Tues CF Comp which comes in at €3,499 (£2,800). 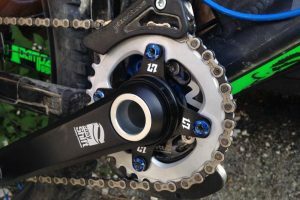 The bike is also available in four different frame sizes (more than the YT Tues) so finding the right size should be a doddle. 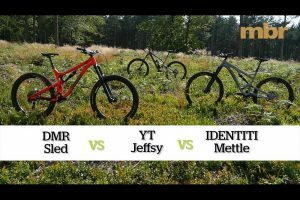 Whichever brand comes out on top in this battle it has to be a good thing for consumers as there are now two stunning carbon downhill bikes available for under £3k – how times have changed!